If you’re in need of an exceptional Warner Robins dentist, look no further. At our practice, our primary office policy is to treat each and every patient with respect while providing them with the quality dental care they need in a warm, welcoming environment. Our exceptional well-trained, friendly team works hard to ensure that our patients receive the best care possible. You’ll be in great hands when you choose our practice. Our dentist, Dr. Toller is has been providing exceptional dental care services to patients in the area for over 30 years. Each staff member in our office is friendly, caring, compassionate and fully dedicated to the well-being of our patients. We believe in providing high quality dental services and are fully equipped to handle all of the dental care needs of your entire family. 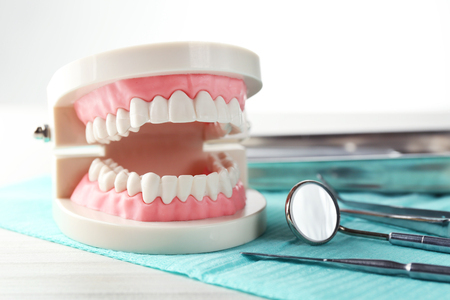 We offer services in all areas of dentistry & utilize the most advanced technology, state-of-the-art equipment and modern techniques in order to provide top-notch dental care to our patients. Some of the many services we offer include but are not limited to: dental exams & preventative cleanings for both children and adults, root canal therapy, cosmetic dentistry, crowns and bridges, cosmetic fillings, sealants, laser therapy, digital x-rays, periodontal maintenance, teeth whitening & implant restorations. Our expert Warner Robins dentist also creates the following custom dental appliances: bruxism splints and night guards, sports appliances and ortho retainers. No matter what service you need, our staff will provide you with the best dental care possible and will educate you on oral health care. Our practice is accepting new patients and hope that you’ll join us soon. We are confident that you’ll be happy you did. We look forward to making you smile! Call us right now to learn more about our practice. Our Warner Robins dentist and the rest of our team look forward to meeting you very soon.